Hand painted 10" Tambourine Dream Catcher Percussion Art Piece. 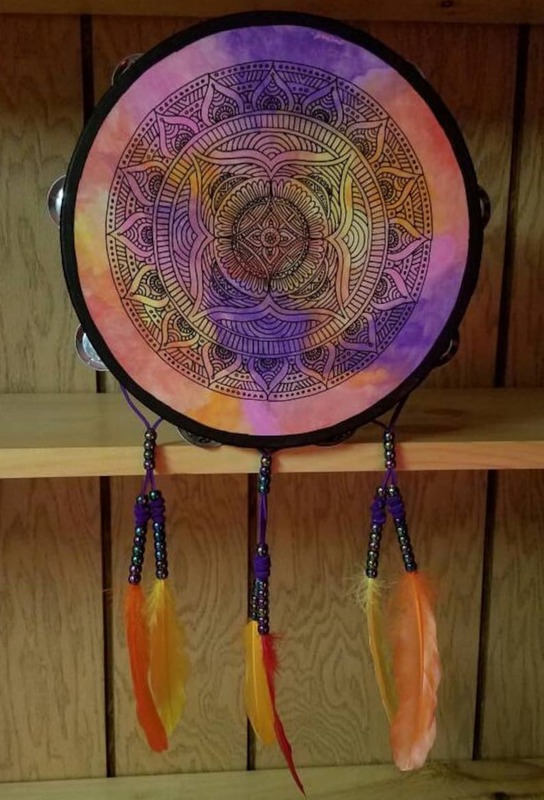 This tambourine has a hand painted mandala painting in acrylic paint, on an acrylic painted background and embellished with beads, feathers, and purple leather cords. This is made to order, each tambourine is unique in its own way. This is gorgeous and very unique!